A survey of likely voters in Tennessee’s 2018 gubernatorial primaries shows that education reform measures have broad support among Republicans and Democrats and that voters rank improving the quality of education as one of the top issues for the next governor. Results from the poll were released today by the State Collaborative on Reforming Education, which commissioned a statewide survey of 500 likely voters in the 2018 Republican primary and 500 likely voters in the Democratic primary. The telephone poll was conducted July 12-16 by Fabrizio, Lee & Associates and Benenson Strategy Group. Voters of both parties ranked education among the top three issues for the next governor, and among parents who vote it was the No. 1 issue for Democrats and the No. 2 issue for Republicans. The pollsters said there were notable areas of agreement among the voters despite some partisan differences. “Republicans and Democrats not surprisingly have very different views on the current political environment in Tennessee, but they both have positive views of Governor Haslam and his education reforms and policies,” the joint memo said. Among those surveyed, 75 percent of Republicans and 63 percent of Democrats said they approved of the job Haslam has done. 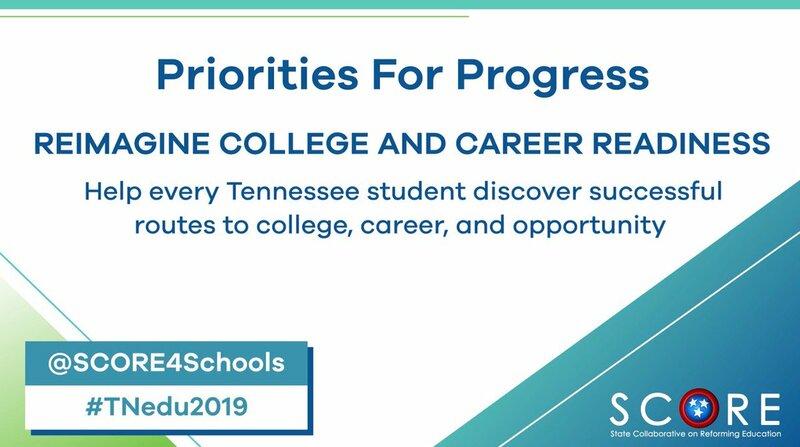 The survey also indicated that Tennesseans are not aware of objective measures, like the Nation’s Report Card, that indicate academic achievement is improving faster in Tennessee than in other states. More voters said they think K-12 education in Tennessee is getting worse than getting better, though a plurality believe it is staying the same. Parents are less positive about the state’s direction on education, the poll showed. Both Angert and Fabrizio have experience conducting surveys for presidential campaigns. Angert was part of Benenson’s team working for then-Senator Barack Obama’s 2008 presidential campaign and conducted polling for the White House in 2009, while Fabrizio has served as the chief pollster on four presidential campaigns, most notably and recently Donald Trump’s 2016 upset victory. POLL METHODOLOGY: The surveys of likely voters in the August 2018 Tennessee primaries were conducted via landline and cell phone by Benenson Strategy Group and Fabrizio, Lee & Associates. Landline interviews accounted for 60 percent of the sample and cell phone interviews 40 percent. Geography by county and media market were matched to previous statewide primary elections. Gender and age were matched to the population of likely voters according to a state-provided voter file. Respondents were randomly selected from lists of known registered voters who had previously voted in a primary election. The margin of error at the 95% confidence interval for 500 voters is ±4.38%.